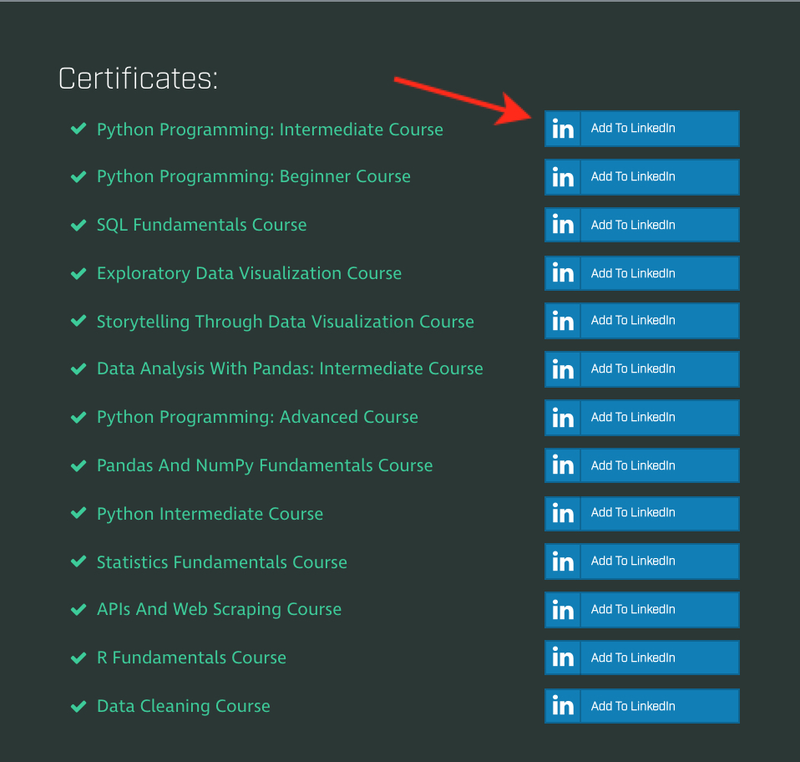 How do I add my certificates to LinkedIn? LinkedIn is the recruiters' tool of choice when it comes to finding candidates for a new role. To help you highlight your accomplishments at Dataquest, we've made it easy to add your certificates to your profile. Navigate to your profile page from the main menu in the top right corner. Locate the certificate you'd like to add to your LinkedIn page → right click on the link → open it in a New Tab. Back on your profile page, click on the Add to LinkedIn button next to the certificate you want to add. Copy the name of the certificate from the second tab (e.g. 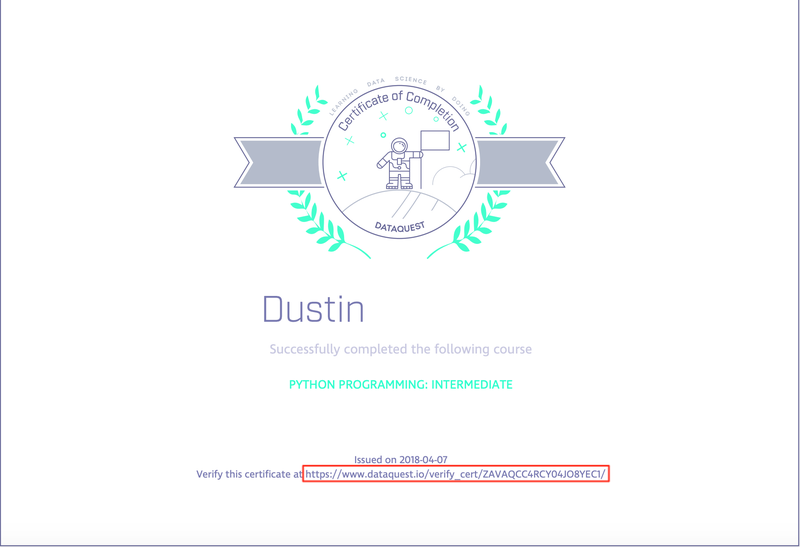 Python Programming: Intermediate) and paste it into the Certification name field. Enter Dataquest.io into the Certification authority field — make sure you select the correct entity (we're the ones with a rocket icon). The license number can be found at the end of the certificate URL, which is located at the bottom of the certificate you opened in the second tab. You can also copy+paste the entire URL into the Certification URL field at this time. Enter the date on the certificate under 'from' and check the box 'This certification does not expire'. Click Save to share your achievement with your LinkedIn network.